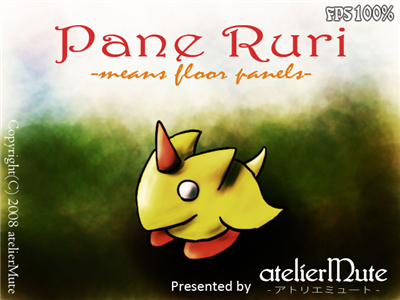 Pane Ruri (6.38mb ver1.0 made 24/09/2008 by atelierMute, self extractor .exe) is a side scrolling puzzle game which means to flood panels. 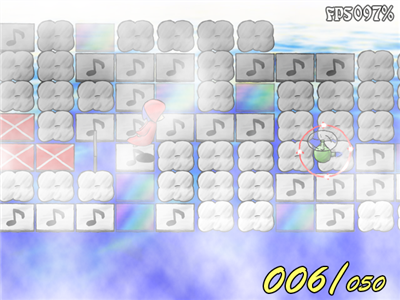 You must collect 50 coins to obtain a key to finish the game and win. 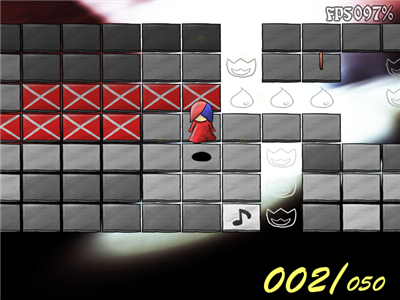 Your game character moves faster than the scrolling game screen so you must decide which path to take while collecting keys and avoiding stationery objects, moving enemies and dead ends. Don't fall off the edge of the game board or go back over your path or it's game over. 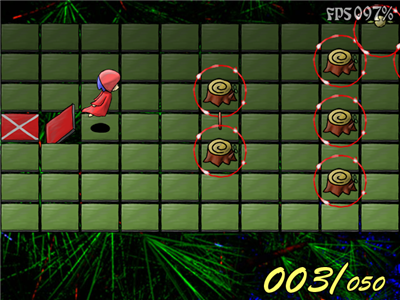 There are 4 modes of play accessible once you finish the first 2 game boards, Normal, Hard, Speed and Gums. The game seems easy at first but without knowing or seeing the game board in front of you first or the set path of enemies, it makes it difficult. An enjoyable game if only for a brief while. This game should play on all Windows systems.